Trusts are not used only to impose restrictions on beneficiaries, but also to reward certain behaviors. Most clients recognize that trusts are an important part of an estate plan if they have minor beneficiaries or are subject to federal or state estate taxes. But if neither one of those situations apply, does the client really need a trust? Avoiding probate generally remains a goal in most states, but since most assets can now pass by beneficiary designation, clients have few assets left to transfer to a living trust and avoid probate. 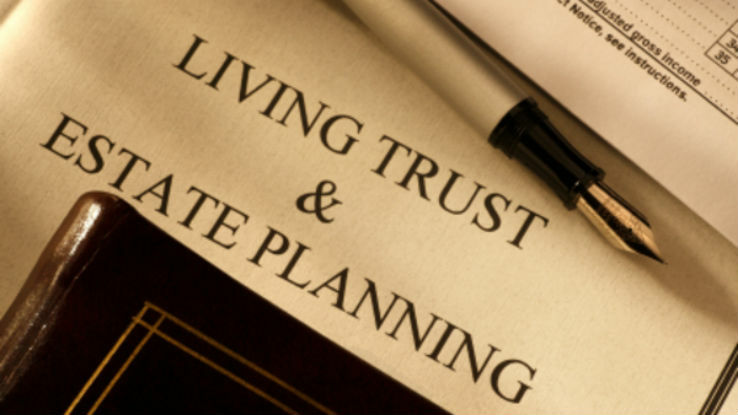 As a result, planners may downplay the need for trusts in estate planning. But, there are several situations where a trust may be appropriate. Example: when the client doesn’t want to pass assets outright to a beneficiary. The default in many estate plans when minimizing estate taxes used to be that the amount provided for the surviving spouse ended up in a trust, either the family (“B”) trust or the marital (“A”) trust. Although the spouse might be the trustee, these trusts restricted the rights of the spouse to access the funds. Now, with the need for estate tax planning eliminated in modest estates due to increased exemptions and the portability provisions, together with a desire to simplify the estate plan as much as possible, eliminating the trust for the spouse altogether may be an option. However, there are cases where one spouse may not want to leave the assets outright to the surviving spouse. Sometimes there are concerns about the spouse’s spending habits, which can be controlled by giving the trustee discretion over distributions. In situations involving a second or subsequent marriage, the spouse may not want property to pass outright because it could then end up in the hands of the children of the surviving spouse, rather than in the hands of the children of a prior marriage. There is an additional advantage to trusts if the marital deduction is not elected: Their terms can be more flexible and can be used for surviving unmarried or civil union partners; and the interest of the surviving spouse/partner can terminate in the event of remarriage or cohabitation. When it comes to children and younger generations, the main concerns are usually providing protection from the claims of creditors, protecting against profligate spending and providing different distribution options for children or grandchildren. A commonly stated creditor concern when providing for younger beneficiaries is that assets may get taken in a divorce. In order for the trust to protect against the claims of the beneficiary’s creditors, the rights of the beneficiary will have to be limited; and, in some cases, the required restrictions may be more than the grantor wants to impose. Trusts are not used solely to impose restrictions on beneficiaries; they can also be used to encourage and reward certain types of behavior. Wealthy clients have often used incentive trusts as a means to promote service-oriented careers or socially responsible behaviors. For these trust beneficiaries, additional distributions may be available to make up for loss of earnings, to reward educational achievement (such as completing high school or obtaining a degree), or to encourage philanthropy by matching charitable contributions. Another common reason for setting up a trust is to enable parents or grandparents to provide for a special needs beneficiary. While in many cases the disability may not rise to a level that requires extensive governmental support, many of these beneficiaries may need to qualify for Medicaid to secure access to health care. A properly structured trust created by and funded with contributions from third parties can provide significant benefits for the disabled person without putting government benefits at risk. Both the trustee and the attorney drafting this type of trust must be familiar with the qualification rules applicable to the beneficiary’s residence, as the rules can vary considerably by location. Once decisions have been made regarding the terms for the beneficiaries, there are two more areas that require the client’s attention. The first is the choice of trustee and the second is making sure that trust agreement preserves some flexibility to deal with changed circumstances. Since we are focusing on trusts for clients with modest estates, the tendency may be to select an individual trustee to avoid the expense of a corporate trustee. However, consideration should be given to the relationship between the trustee and the beneficiary. If the trust was created to say “no” to the beneficiary, then a corporate trustee may make more sense. Professional trustees are paid to comply with their fiduciary duty under the trust, which may include saying “no,” especially when the beneficiary calls at 3 a.m. to request a distribution. If there is a concern that an individual trustee does not have the expertise to act as trustee, this can often be offset by the guidance of an attorney or an accountant. Or a corporate administrative trustee can be employed to handle administration while leaving the distribution provisions in the hands of the individual trustee who is familiar with the beneficiary. Any trust that will become irrevocable in the future and is intended to last for more than a few years should have provisions that preserve flexibility to change the trust in the future. Circumstances change, whether it is the circumstances of the beneficiary, tax or trust laws, or changes in trust assets or in the persons or entities named as trustees or advisors. Since these changes can significantly alter the original purpose of the trust, controls need to be in place to help ensure that the changes are implemented in a manner consistent with the original intention of the grantor. Preserving flexibility can be as simple as giving a beneficiary a power of appointment over trust property that is exercisable during life or by will. Other options involve giving powers to others to influence or change the operation or terms of the trust. Trustee removers can be appointed to remove the trustee for any reason and appoint a successor trustee. A trust protector can be appointed with narrow or wide powers to amend the trust at the request of the beneficiaries without the need for court reformation. Trust advisers can be appointed for specific purposes, such as investment management, management of special assets – such as a family business, or to direct distributions from the trust to the beneficiaries. The latter may be particularly useful if a corporate trustee is appointed and the trustee has little or no contact or knowledge of the beneficiaries. Trusts are still relevant for many clients – and can be used in many circumstances for a variety of client needs. A trust will help provide protection for the beneficiaries and enable the grantor to help ensure that his or her wishes are carried out into the future. The tax information and estate planning information contained herein is general in nature, is provided for informational purposes only, and should not be construed as legal or tax advice. Columbus Life does not provide estate planning, legal, or tax advice. Columbus Life cannot guarantee that such information is accurate, complete, or timely. Laws of a particular state or laws that may be applicable to a particular situation may have an impact on the applicability, accuracy, or completeness of such information. Federal and state laws and regulations are complex and are subject to change. Changes in such laws and regulations may have a material impact on pre- and/or after-tax investment results. Columbus Life makes no warranties with regard to such information or results obtained by its use. Columbus Life disclaims any liability arising out of your use of, or any tax position taken in reliance on, such information. Always consult an attorney or tax professional regarding your specific legal or tax situation. Columbus Life is licensed in the District of Columbia and all states except New York.